What a fab deal! 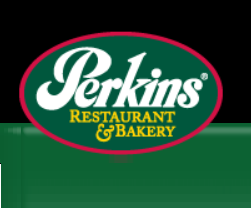 Get a 20% off Perkins coupon right off the bat and then you will also get a exclusive offers starting plus a special gift for your birthday. Don’t forget the kids — add your family members ages 12 and under so they can get birthday gifts too! The birthday emails will be sent to your email address. Be sure to click the links and share your birthday with the company you want the free deal from!! I will tell you Happy Birthday here, but I can’t send you the free deal. Happy Birthday!! Hope your day is amazing. Go get your free deals. Thanks for the birthday deal! Just love Perkins just down the street from me on Portage. Birth date is May 28,1948. I love me some Perkins. It has been my go to for year’s. That’s great! I love going and having pie and coffee. Delicious! sign me up for free birthday deal. Love perkins and eat there all the time….